Today’s guest post is by Grace from the wonderful blog Books Without Any Pictures! She reads and reviews a wide variety of books, including a lot of speculative fiction, and she also has giveaways, guest posts, interviews, and discussions on her site. 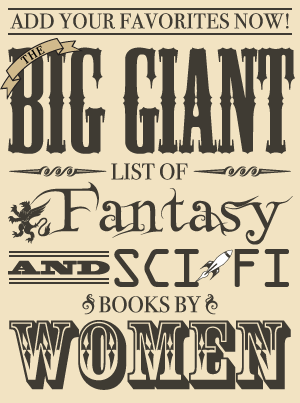 I really enjoy reading her reviews and think she has excellent taste in books so I’m glad she is here today recommending some favorite recent science fiction and fantasy books by women! Deathless is a retelling of the Russian legend of Koshei Bessmertny, a wizard who keeps his soul outside of his body (inside a needle, which is in an egg, which is in a duck, which is in a rabbit, which is in an iron chest, which is buried under a tree) to preserve his immortality. The story of Koshei and the woman who destroys him is juxtaposed with Soviet history, adding another dimension to an already captivating story. Deathless is hands down my favorite book of all time. Madeline Ashby’s debut novel is set in a world where humans live side-by-side with von Neumann machines, or self-replicating robots. There is a tenuous peace between the humans and the vN (even though the vN are second class citizens) because the robots are built with a failsafe that prevents them from harming them. But when a little robot girl named Amy accidentally eats her grandma during a school play, the world changes as humans begin to fear and persecute their creations. Seeing the plight of the vN can’t help but remind readers of the types of discrimination that exists within our own society. Yeine Darr was raised in a matriarchal warrior society. After her mother’s death, Yeine is summoned to her grandfather’s palace, where she learns that she is a contender for the Arameri throne. The Arameri have enslaved gods known as the Enefadeh, and they use the gods’ power to help them subjugate most of the world. The Arameri are ruthless and will stop at nothing in pursuit of power, and it will take all of Yeine’s strength to survive in their world. N.K. 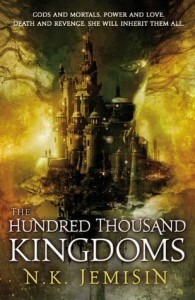 Jemisin’s Inheritance Trilogy completely upends many of the stereotypes that plague epic fantasy. 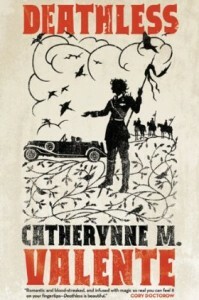 The protagonist is a black woman, and the world she lives in is nothing like medieval Europe. Instead of all-powerful, the gods are dysfunctional. It’s brilliant. This is the story of Cat, a girl who falls in love with a robot. She doesn’t know whether Finn is capable of returning her love, and so she makes a lot of mistakes with her life out of guilt and the pressure to have more “normal” relationships. 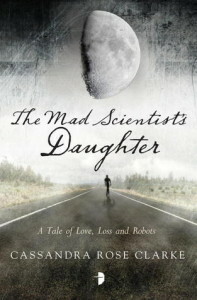 One of the things that impressed me the most about The Mad Scientist’s Daughter is that Cat is so fallible. We see her make poor but understandable life choices that hurt people she cares about and then pick up the pieces and learn to move on and live with the consequences of her actions, which is a profound commentary on what it means to be human. 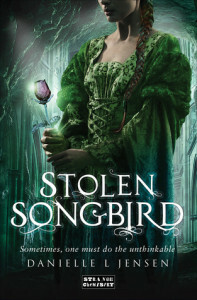 Danielle Jensen’s debut novel Stolen Songbird is the story of a teenager whose life plans get disrupted by trolls. Cecile is planning to move away from the village where she was raised and become a singer, but she is kidnapped and sold to trolls. The trolls have been imprisoned under a mountain by a witch, and there’s a prophecy that a union between a red-headed human and a troll could break the spell. Cecile is forced to marry Tristan, the troll crown prince, but unlike a typical fairy tale, their union fails to break the curse. The troll marriage ceremony uses magic and links the emotions of the two partners, so Cecile and Tristan are stuck with each other. This is one of the best new releases of 2014, and I can’t praise it enough. These are just a few of the fantastic examples of speculative fiction novels written by women, but, in the illustrious words of LeVar Burton, you don’t have to take my word for it.